This is the most cost effective way of replacing missing teeth (teeth that you had extracted). 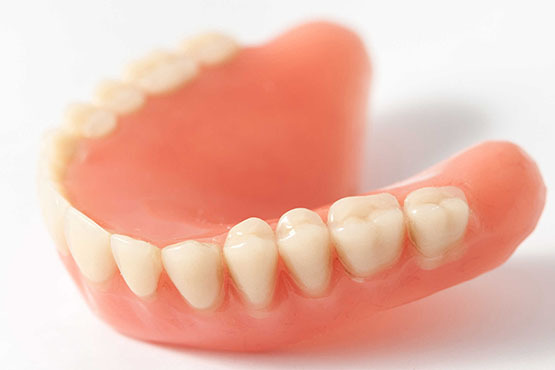 We offer the usual plastic/acrylic denture as well as the metal/chrome & flexi variants. The plastic is the most affordable and satisfies your functional & aesthetic needs. Some patients however may have an increased gag reflex and find it slightly challenging to wear them. The advantage however is that this variant is easy to adjust/repair. The metal denture is the strongest of the assortment and can be designed as to cover less tissue than what the acrylic does, thereby making it more tolerable. The flexi denture is the most comfortable and has minimal palatal/tissue coverage. It is the ideal choice for replacement of 1 or 2 teeth. As the mouth and its tissues are ever changing, it is recommended that you replace your denture (make a new denture) at least every 4 years.